This post has already been read 1333 times! 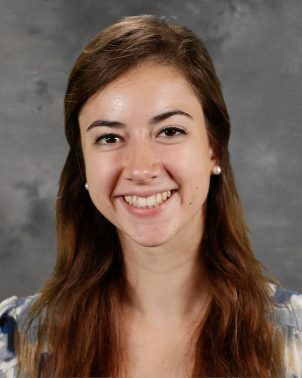 KEARNEY – Anna Wegener didn’t have much to contemplate when choosing an organization to get involved with at the University of Nebraska at Kearney. 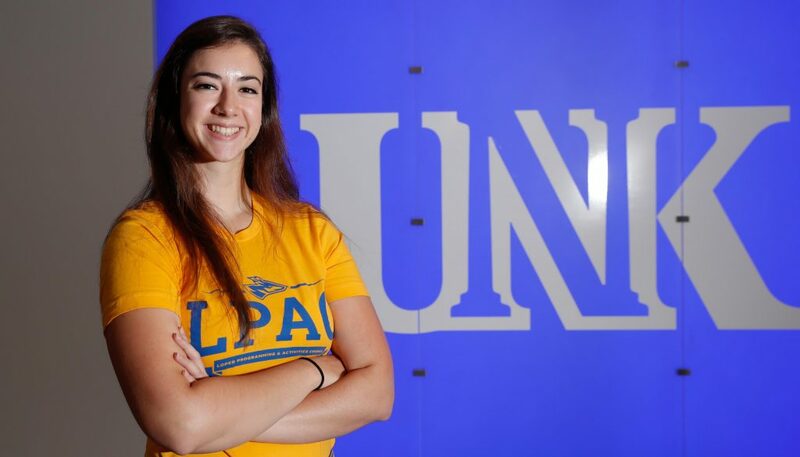 She went straight to the Loper Programming and Activities Council (LPAC) table during the Blue Gold Community Showcase at the beginning of her freshman year. Wegener, now a senior studying business administration with an emphasis in accounting, can thank her sisters for that. “They pretty much sent me to college saying, ‘Make sure you do this,’” the Lindsay native said. Her oldest sister Ashley, who graduated from UNK in 2010, is a former LPAC president and another sister, Jennifer, was a program chair with the student-run organization before graduating in 2012. Wegener, who is serving as the group’s president for the 2018-19 academic year, was more than happy to carry on this family tradition. “It’s a lot of long hours, a lot of work, but it’s also a lot of fun to be behind the scenes and make the events happen,” she said. LPAC, which meets 5 p.m. Thursdays inside the Antelope Room at the Nebraskan Student Union, organizes a couple dozen events and activities each year to keep UNK students entertained and develop camaraderie on campus. The group of roughly 50 students plans the annual spring concert, featuring recent acts such as Josh Turner, The All-American Rejects, Karmin, Cole Swindell and Scotty McCreery.They also run the FAME talent show, gingerbread house competition and a 5K run/walk. There’s also a hypnotist, comedy and magic shows and the popular escape rooms that will be offered again in late October. That’s a lot of fun without even mentioning Wegener’s favorite week of the year – homecoming. 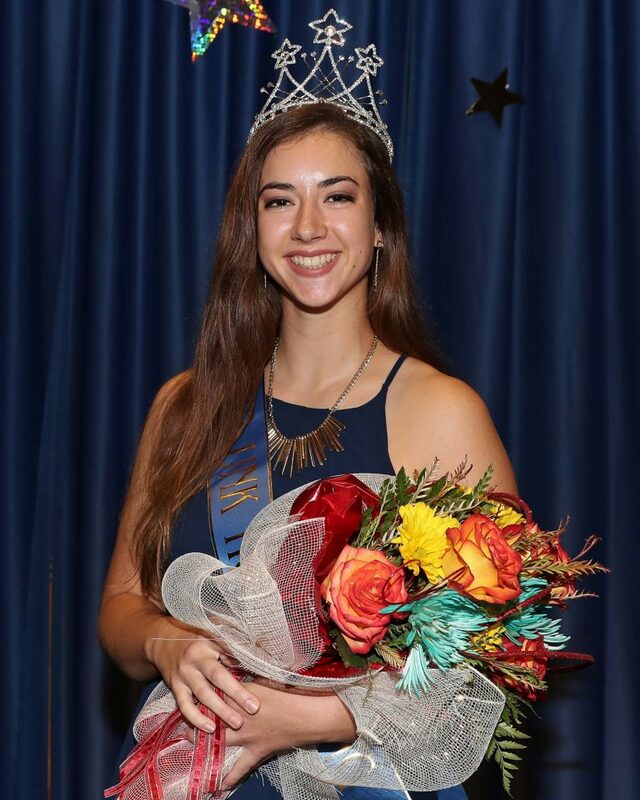 This year’s homecoming celebration came with an unexpected bonus for Anna Wegener, as she was crowned UNK’s homecoming queen during the Sept. 13 coronation. The festivities include a lawn display contest, the state’s largest lip-sync competition, adventure race and downtown parade. This year’s celebration came with an unexpected bonus when Wegener was crowned UNK’s homecoming queen during the Sept. 13 coronation. To temper her expectations, Wegener told herself all week she wouldn’t win. “Then they announced my name and it was surreal and awesome,” she said. The cherry on top came when the other LPAC representative, event programming chair Odwuar Quiñonez, was named homecoming king. “It was really cool that both LPAC reps won,” Wegener said. In addition to all of the previously mentioned events, LPAC also hosts a Veterans Day program every November and the group brings in businesses for students to check out. Wegener said the goal is to provide quality entertainment for students – it’s affordable, too, since most events are free – and make their campus experience even better. One of her favorite parts of LPAC is seeing friends get together to hang out at an event. “They can just stop by and have a good time,” she said. Wegener, who previously served as LPAC’s homecoming and performing arts chair, gains as much from the organization as she puts in. The 21-year-old, who describes the group as “one giant family,” credits LPAC for much of her personal growth over the past three years. She’s transitioned from that shy, behind-the-scenes member to someone who isn’t afraid to run a meeting or address a crowd. LPAC adviser Tim Danube would certainly make a good reference. He called Wegener a fun, genuine person who consistently demonstrates a strong work ethic and integrity. “She is the right leader for LPAC because her peers enjoy her, respect her and are willing to work with her and for her,” Danube said. Wegener works with Danube in the UNK Office of Student Engagement, and she’s president of the Honors Student Advisory Board. She’s also a member of the Chancellor’s Ambassadors, National Residence Hall Honorary, Beta Alpha Psi, Phi Eta Sigma and Beta Gamma Sigma honors organizations and active with the Catholic Newman Center. After graduation, she plans to pursue a Master of Business Administration degree in accounting before working as a certified public accountant. Membership in LPAC is open to any UNK student. For more information on the organization, call 308-865-8523 or email Tim Danube at danubet@unk.edu or Jamie Hiemke at hiemkejl@unk.edu.